Fun to read what you are up to. This sounds amazing and right up my alley!!! Please hold a spot for me I am trying to get the money. I’ll probably need to use two credit cards. Fun post! I usually don’t think about what I can do for myself that would be a turn on. I’m always wondering if what I’m doing/wearing turns *him* on. Love the idea of doing it for yourself. I think in turn if you do it as your own turn on then it’ll naturally turn your partner on, too! You’ll feel good and that will show. Super fun. So true Glady! The more we turn ourselves on, the more our partners are turned on… it stimulates both people to have more fun, feel more permission, be more expressive and to feel more care-free confidence. Have fun with your turn on… would love to hear how you get creative with it! Beautiful and important. Love the questions and can’t wait to dive in and dig deeper into my sensuality. Thank you for this article. “Our bodies are PERFECTLY designed to tell us what we need. It’s just that we choose to not listen sometimes because in our minds, we have another agenda.” —- YES!!!! I love what you said about listening to your body, giving her a voice, and HEARING her. So beautifully said. Wow! Thank you for writing this!!! I have been going through the process of healing my own traumas (both little t and Big T Trauma), and the way you summarized Systemic Constellation (which I had never heard the term before) was beautiful. Well said. Let go of perfectionism, surrender to not knowing, be soft and vulnerable, while never letting go of your vision. Thanks for visiting Michelle, I so appreciate your comment. Surrendering to ‘not knowing’ especially while still keeping the door open to possibility in the greater vision…. is such a courageous vulnerability. powerful journey and questions! very provocative, Krista. Thanks Cynthia…those questions are now officially part of my life repertoire! I hope they’ll be useful for anyone who needs clarity for major life decisions. Hi, will you be doing permission sessions this year in Los Angeles? I hope so, thank you. Wonderful to read your note. I don’t have a date set for LA, but I’ll keep you posted via my newsletter. Or if you have a group of ladies in mind who’d you’d like gather for a workshop, I can curate the permission sessions in LA especially for your group (a minimum of 5 women),for a date that works for both of us. 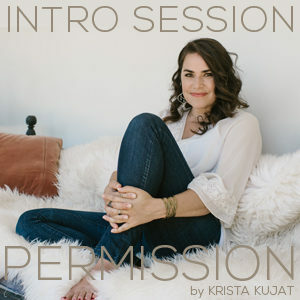 Feel free to email me directly if that interests you: krista@kristakujat.com. Thanks for getting in touch! I’m so glad it resonates, thanks for taking the time to let me know… and wnderful you’re on this journey too! Wishing you pleasure in every stage of acceptance. Interesting read, Krista. I don’t think I’ve ever associated myself with ‘anger’ and ‘rage.’ I tend to feel sadness. Someone once told me that’s anger directed within. What do you think? Hi Ai! I’m so glad you brought up the topic of sadness being anger directed within… I’m actually aching to write about this in a future blog. Since sadness is what we feel on the surface when there’s a deeper pain underneath, sadness can lead us to feel disempowered if we’ve never had the chance to release the pain underneath it fully. When you let yourself feel sadness or grief to the very center of that pain, you’ll notice anger will surface right behind it (pain always triggers anger… it’s the survival reaction to protecting ourselves from pain… and often pain and anger get repressed because both are uncomfortable to feel). Most importantly pain needs to be released and healed, to be free from sadness, and anger isn’t just a reaction to pain, but it’s a guide to consciously accessing our personal power. This is why it’s healthy and helpful to allow anger to be a catalyst for shifting the energy of sadness into powerful creative passion, and to accessing our personal power (even when you don’t normally identify with feeling anger!). “Forgiveness is the ultimate pillar for real deal self love.” This is a beautiful statement and one I know the truth of from personal experience. I am going to use your suggestions in my personal work. Much gratitude to you. Thanks so much for stopping by Paulette! I’m so glad to hear this inspires your personal work. There are so many things I love about this. I found it, or it found me, at the right time. I’ll be referring to it as I reframe the relationship with my body. Thanks so much for letting me know Joy. I’m so glad to hear it reached you at the write time. Please to keep in touch, I’d love know how it goes! Thank you for these words of wisdom. When I sense myself becoming overly tired and want to numb myself with something external, deep down I know internal love, acceptance, and care is the real deal cure. Nice word choice ? Yes! I’m so glad to hear this resonated with you, Debbie. It’s such a subtle shift sometimes, and it has a huge impact! 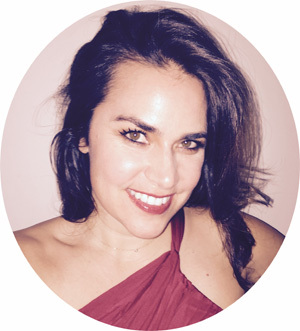 Krista Kujat is a passion crusader offering deep shifts in perspective on sensuality and sexuality through speaking engagements and writing. She guides women to empower themselves with pleasure and to free their fullest self-expression. Visit Krista's profile on Pinterest.